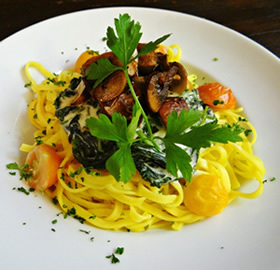 Are you looking for a tasty lunch in Leipzig's city center? You prefer a freshly prepared dish that is served in a short time? Then take a look at our lunch menu. In order to ensure culinary variation, we change our lunch dishes each week. 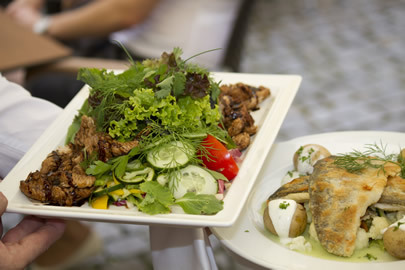 Discover regional and fresh cuisine in the heart of Leipzig! Please ask our service staff for the current weekly lunch menu.